The launch of new TLDs (the bit on the right of the dot) brings many challenges and opportunities in the European market. Blacknight's CEO, Michele Neylon, will be addressing these and other topics during his talk at the NetNod spring meeting. Blacknight CEO Michele Neylon will bring his new TLD expertise to the Netnod spring meeting. Netnod is one of the leading infrastructure companies in Europe, and is known for being on the cutting edge of Internet technology. Netnod is a non-profit, neutral and independent Internet infrastructure organisation based in Sweden and is owned by the foundation TU-stiftelsen (Stiftelsen för Telematikens utveckling). 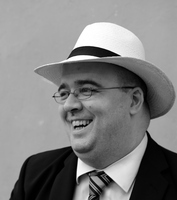 Neylon will be giving a talk during the first day of the event on Tuesday March 11 at 15:30, titled: New TLDs - Challenges and Opportunities in Europe. As the force behind a leading European domain registrar, Neylon has first hand knowledge of what to expect during a TLD rollout from marketing to technical issues to policy pitfalls, end-user adoption and more. 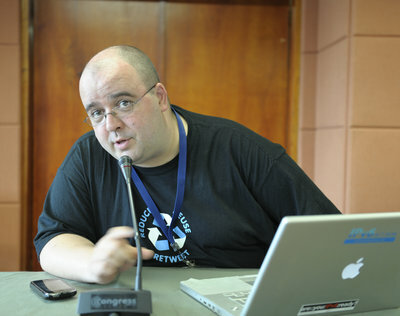 Other session topics include “Human Rights and Internet Freedom”, “CryptoParty Stockholm & "The Day We Fight Back", and "Gaming in a connected world". The 2-day event will culminate in a party at highly reputed restaurant in Stockholm, Lux Dag för Dag. Netnod operates five Internet Exchange Points (IXPs) in six different cities in Sweden and Denmark, where Internet operators can connect and exchange traffic (peer). The Netnod IX has among the highest amount of traffic per peer in Europe and is fully IPv6 enabled. Netnod is also the proud operator of i.root-servers.net, one of the 13 logical DNS root name servers in the world. This service is provided as a public service to the Internet community at-large, as part of Netnods goal to work for the Good of the Internet.